Niantic has announced a big Pokemon Go Sinnoh Stone update for Android and iOS. Trainers will now find that they have new options when it comes to Gen 4 evolutions. When the Sinnoh Stone first launched it came with a confirmed list of Gen 4 evolutions. And today Niantic has officially expanded that list to include new Pokemon for the Sinnoh Stone. The new Gen 4 evolutions that have been revealed today includes Lickitung into Lickilicky and Tangela into Tangrowth. 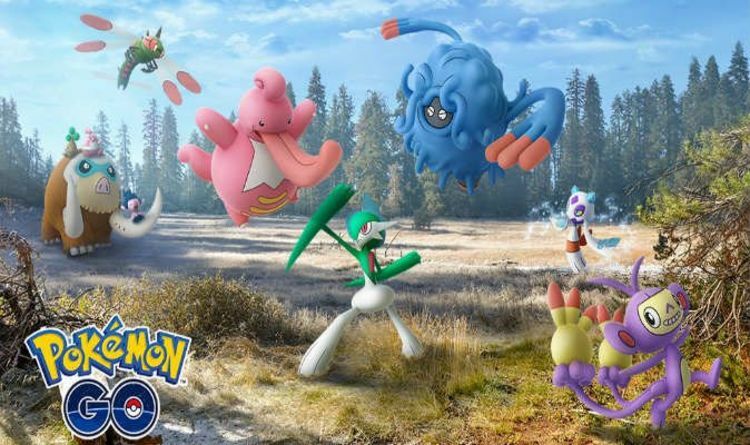 Not only will more Sinnoh Stone evolutions be discovered by fans very soon but more Gen 4 Pokemon have been released into the wild. Cranidos and Shieldon are two of the confirmed arrivals, while fans can also expect more Sinnoh Pokemon in eggs too. Away from the headline news, Niantic has also made some important baseline changes. Some Pokemon have become more powerful in Raid battles, while others will now be able to learn new moves. Here’s the latest from Niantic, who confirmed: “Did you know that some Pokémon originally discovered in the Sinnoh region evolve from Pokémon previously discovered in other regions? “Starting today, you’ll be able to use a Sinnoh Stone to evolve Lickitung into Lickilicky, Tangela into Tangrowth, and more! “Plus, more Pokémon originally discovered in the Sinnoh region, such as Cranidos and Shieldon, will appear in the wild for the first time! “You may also see more Pokémon originally discovered in the Sinnoh region appearing in Eggs. “There are also some big changes coming! You may notice that Pokémon that appear in Raid Battles are more powerful and sturdy when you challenge them. Plus, some moves that certain Pokémon know may be stronger or weaker when used in battle. Fans are testing out the new options and what new Sinnoh Stone evolutions might be coming soon. “I get an error for FE Snorunt at the moment, but I have evolved 3 of the new guys,” one fan wrote online. More news concerning the big Pokemon Go update is expected to be found by Trainers over the coming days.